Chapter 13 Bankruptcy Protection is known as the “Wage Earners Plan.” That means folks with a regular income have the opportunity to develop and follow a payment plan designed to eliminate all or part of their debts. Chapter 13 protection lets you make installment payments on your debts over a period of three to five years, under the supervision of a court-appointed trustee. up to $1,000,000 or unsecured debts up to $300,000. If you are at risk of losing your home or other valuable assets, Chapter 13 Bankruptcy Protection may be the right choice for you. We highly recommend that you seek the representation of a bankruptcy specialist. 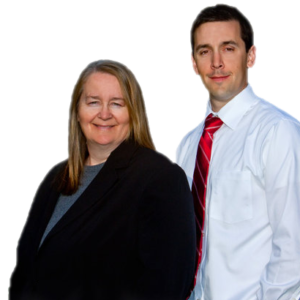 Please contact us to schedule your free consultation with attorney Pamela Marchese or Will Marchese. We’ll discuss your situation in detail, examine your options and give you the opportunity to save your home and your finances. The information you obtain at this site is not, nor is it intended to be, legal advice. You should consult an attorney for advice regarding your individual situation. We invite you to contact our office and we welcome your calls, letters and electronic mail. Contacting us does not create an attorney-client relationship. Please do not send any confidential information to us until such time as an attorney-client relationship has been established. Marchese Law Group is a debt relief agency. We help people file for bankruptcy relief under the Bankruptcy Code. "I absolutely recommend Marchese Law Group to anyone in need of Bankruptcy assistance. They are thorough, knowledgeable, down-to-earth and truly care about their clients. Thank you for everything!"